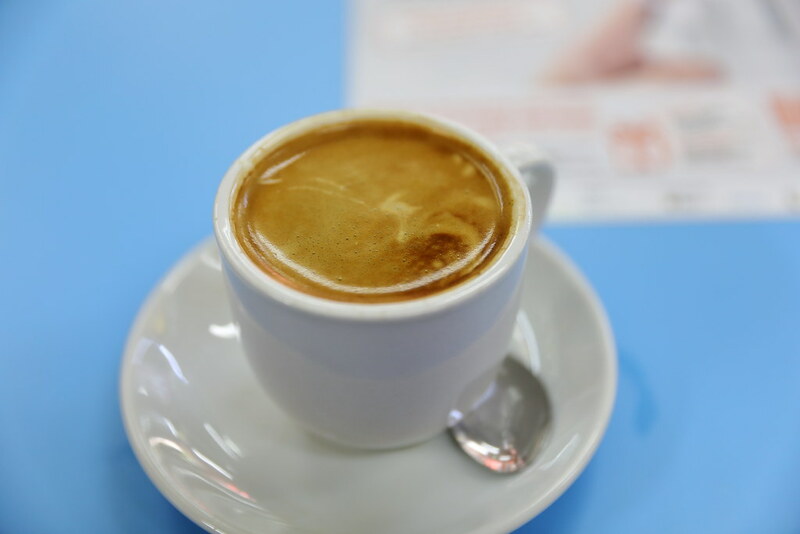 Many of my foodie kakis have been raving about the coffee from Kopi More at Golden Mile Food Centre. The stall is set up early in the year by 43 years old Lawrence who used to work in the petroleum industry. 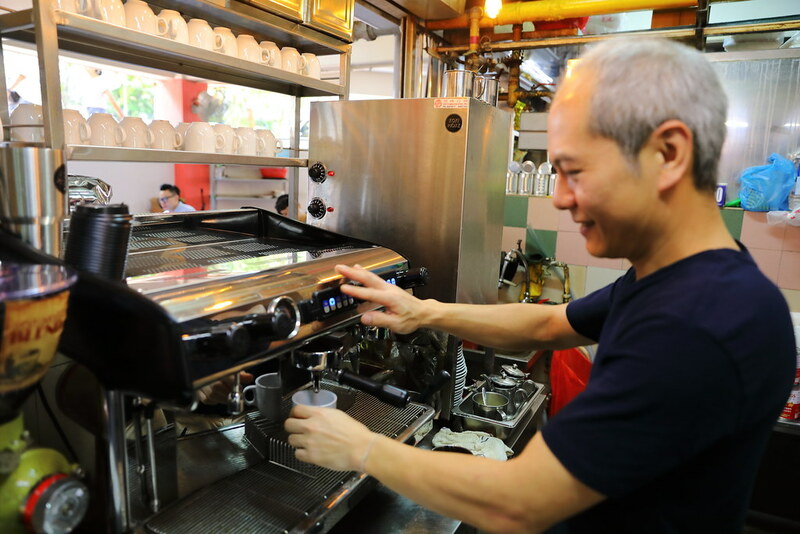 What makes Kopi More different is the introduction of espresso machine into the hawker scene. 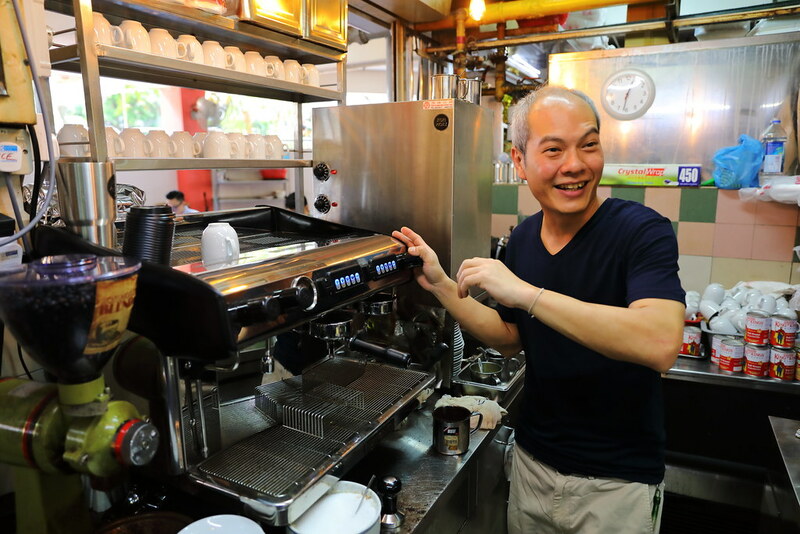 Lawrence explained to be he used a blend of Indonesia Robusta and Columbian Arabica beans, roasted with sugar and margarine to achieve the Nanyang flavour. For freshness, a small batch of the coffee powder is grounded each time. Every cup of coffee is made like how a barista at a cafe will do so. 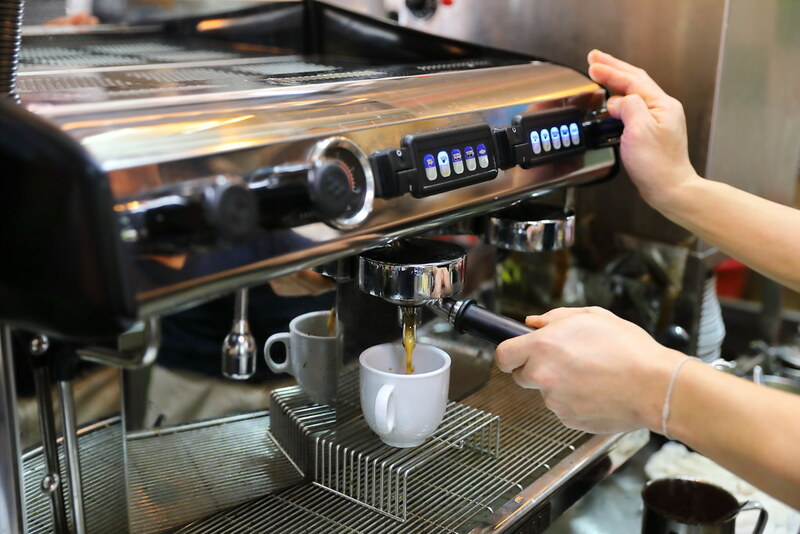 Using the espresso machine, each cup of coffee is pressed out from machine instead of using those coffee sock to make them. 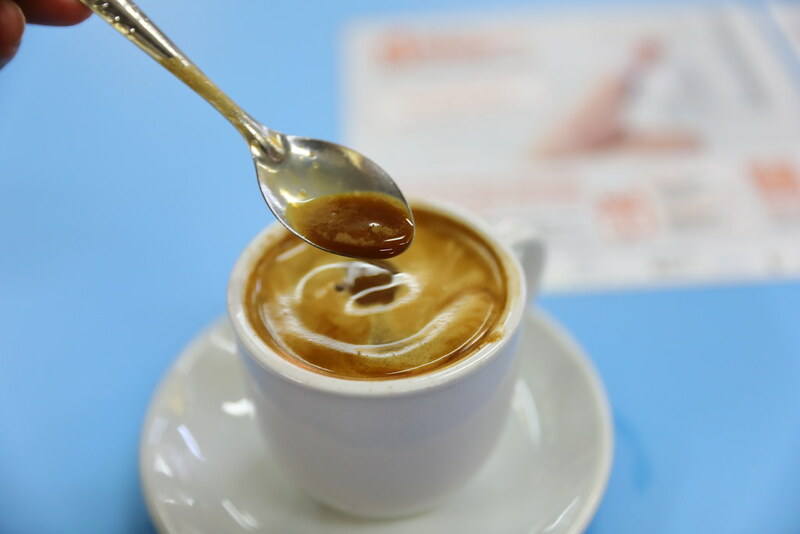 The process of using the pressure gives the coffee a creamer texture as well as reducing the acidity. This is indeed a really good cup of Hot Coffee ($1.50). The full bodied coffee has a smooth and creamy texture. It also has a nutty and toasty flavour. The coffee is slightly expensive by a few cents compared to other drink stalls but you are getting a good cup of quality and robust coffee. Not forgetting this is much cheaper than those artisan coffee from cafe. During my visit, I noticed a constant flow of customers queuing up for the coffee. Lawrence has to take turns with his helper to make the coffee. There are also many regulars as well as "ang mo" returning for that cup of aromatic coffee. I have to admit, I am hook to Kopi More's coffee. I am urging to go back to satisfy my caffeine addiction.